Bees are amazing little creatures! We take a look at how and why they make our much loved honey. If we lived in a world without bees, Earth would be a lot less colorful and flavorful. In fact, a world without bees might well result in a world without humans too. Besides producing glorious honey, the role they play in pollinating plants and flowers is essential for the survival of agriculture. 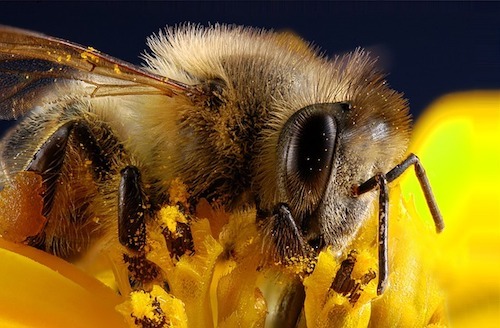 A world without bees would mean many of the crops we rely on would disappear. It could easily be argued that bees are the most invaluable species on the planet. In this article we take a close look at the honey making process that is essential to bees. We love to eat it, but why do bees need to make it in the first place? We’ll explain how they make the golden goo too. Let’s talk about honey. What’s so important about honey? Did you know that a honey bee’s wings flutter at about 12,000 times per minute? Since they fly most of the time, this means that their wings are almost always fluttering. This type of action takes a lot of energy. Bees make honey and store it away so that they can eat it in times of hardship, like in the cold winter months. The wintertime is particularly trying for bees as they can’t go out and collect as much nectar or pollen. There are fewer flowers in bloom and so less opportunity for them to forage. Honey is the ideal food reserve as it is high in sugars and full of nutrients. It gives bees just the energy boost they need. 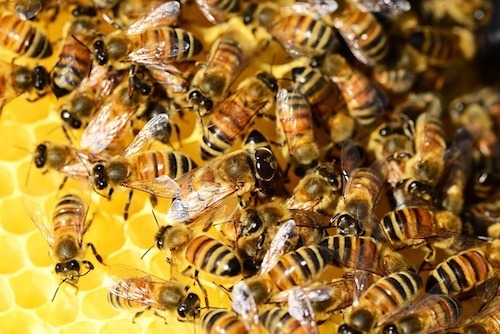 Bees have specialized tools to help them make honey. The process starts when a bee goes out to find a suitable flower. Once the bee has found a good flower, it will use its long, tube-like tongue (called a proboscis) to collect the nectar from the flower. The nectar is stored in a special stomach called the nectar stomach, which is very different from the bee’s normal stomach. It is completely separate from its digestive stomach and is only used for storing nectar. The average honeybee’s stomach can hold almost 70mg of nectar, which is around the same weight as the actual bee itself. A honey bee might need to visit as many as 1500 flowers to fill its stomach. When the bee knows it has collected enough nectar, it will fly back to the hive. At the hive they regurgitate the nectar/enzyme mix and pass it on to the worker bees. If extra worker bees are needed to complete the task then those present will take part in what is known as the ‘tremble dance’. This is a visual ‘help’ signal that telegraphs their need for assistance. The worker bees will then begin chewing on the nectar. In this process, the nectar is broken down into basic sugars using a special ‘bee enzyme’ called invertase. This enzyme changes the nectar’s sucrose into levulose (fructose) and dextrose (glucose). These are the main building blocks for what we know as honey. The bees chew on the nectar for around 30 minutes. The mixture is then transported to the honeycomb cells. Here the water will eventually evaporate from the concoction, leaving the thick syrup mixture. The bees speed up the evaporation process by using their wings like fans. This helps to “dry” the mixture out much faster. 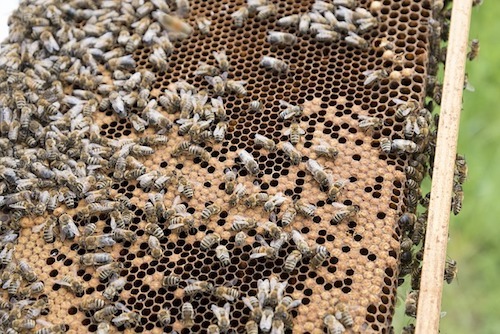 When a sufficient amount of water has evaporated, the bees will seal the honeycomb cells with wax. This helps to preserve the honey for when it is needed. You can think of these wax sealed cells as tiny jars of honey. Making honey is simple enough, but it takes a long time to make. It takes eight bees all their life to make just one spoonful. They also tend to make more than enough, so beekeepers can harvest honey for us and leave some for the bees as well. A colony of bees may eat between 120 and 200 pounds of honey every year. In order to make one pound of honey, 50,000 stomach-fulls of nectar will be needed. 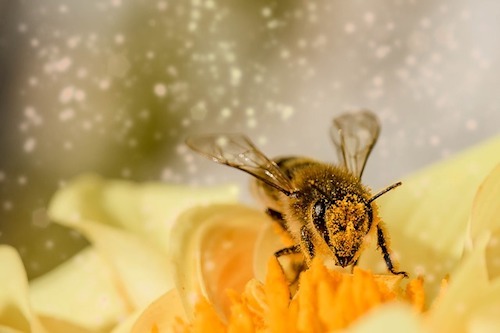 A single worker honeybee produces about 1/12th of a teaspoon of honey. A honeybee colony can have between 20,000 and 60,000 bees. 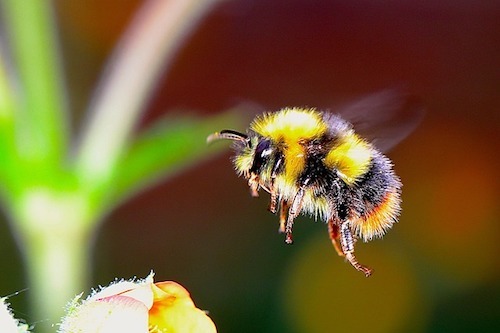 A honeybee can fly at speeds of 25km/h. To make one teaspoonful of honey it takes at least 8 bees their whole life. Why do bees make so much honey? We have learned how bees make honey, but one question leaves us scratching our heads. Why do they make so much honey? Bees are clever creatures, and they think ahead. In the months when flowers don’t grow, usually during winter and autumn, it would be very difficult to try and make honey. Or if it rains, they would not be able to fly out to gather any nectar. The bees make a lot of honey when they can, so that when they can’t make honey, they have enough stored away. Bees make the most of the time that they have so that they will not suffer when they cannot make it anymore. This sort of forethought is passed on instinctively to protect the species. If they did not do this, the entire hive could die during colder weather. Can humans take the honey? If bees make the honey to store away, is it alright that humans take it? Yes, it is alright. In the wild, bees face the threat of other predators or animals stealing their honey. It is a natural occurrence. That is another reason they make so much honey; they are preparing for the event of something opening the hive and taking the honey. Experienced beekeepers are careful to make sure that they do not take too much honey. They take just enough for themselves and make sure that there is plenty of honey left for the hive. The bees will then naturally replace any honey that is taken. The honey that we know and love is made by honey bees. Honey bees make a lot of honey because the it needs to feed the entire colony and the queen during winter. Honey bees make the most honey out of any other bee species. Bumblebees also make a type of honey, but it is closer to nectar. They do not need to store their honey for as long as honey bees. Bumblebees make just enough honey for the queen. During the colder months, the entire colony will die leaving only the queen. The queen will then use the food stored for her while she builds the colony again. This means that their food would not be very useful or tasty for us. There is also another type of bee, called the Melipona. This species of bee does not have a stinger. They do, however, produce honey. Unfortunately, they do not produce a lot of honey and so their honey is not widely available since it is so rare. The Melipona species is also very rare, and if you come across a Melipona, you are extremely fortunate since most people will never encounter one of these bees. Whether you like it on toast or in your tea, there’s nothing quite like honey. It is a super food that is very good for you and is a nutritious source of energy. The next time you scoop some out of the jar, think about how much effort it took to get that much honey. In winter months, when you’re looking outside your window, just imagine the little bees, tucked away in their hives nibbling on their hard-earned honey. And the next time you see a bee, look closer, you might be walking past a little Melipona bee. Enjoy learning about animals and nature? Check out our articles on the Amazon Rainforest and why dogs have whiskers. Don’t forget to follow us on Facebook! You’ll see daily facts and quotes that will brighten up your day.